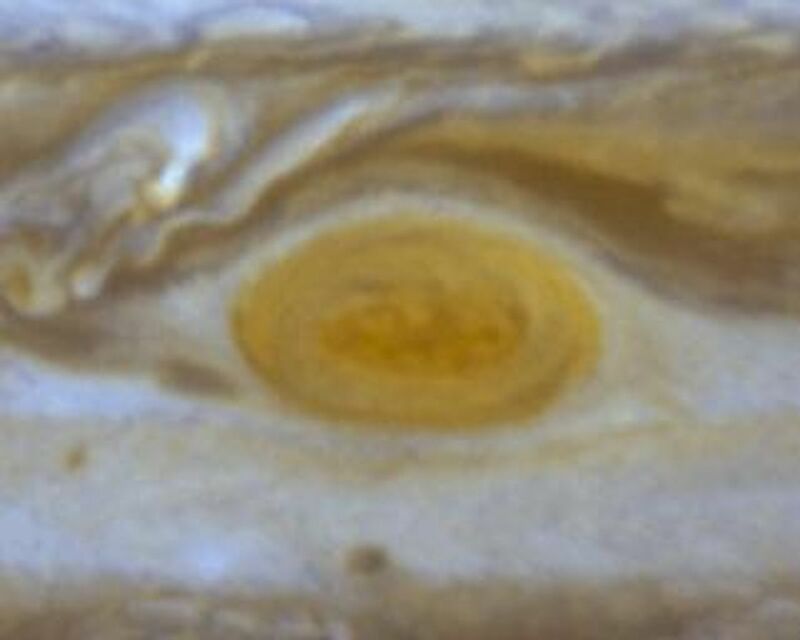 The long lifetime of the Red Spot may be due to the fact that Jupiter is mainly a gaseous planet. It possibly has liquid layers, but lacks a solid surface, which would dissipate the storm's energy, much as happens when a hurricane makes landfall on the Earth. 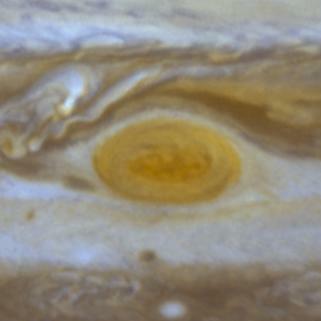 However, the Red Spot does change its shape, size, and color, sometimes dramatically. 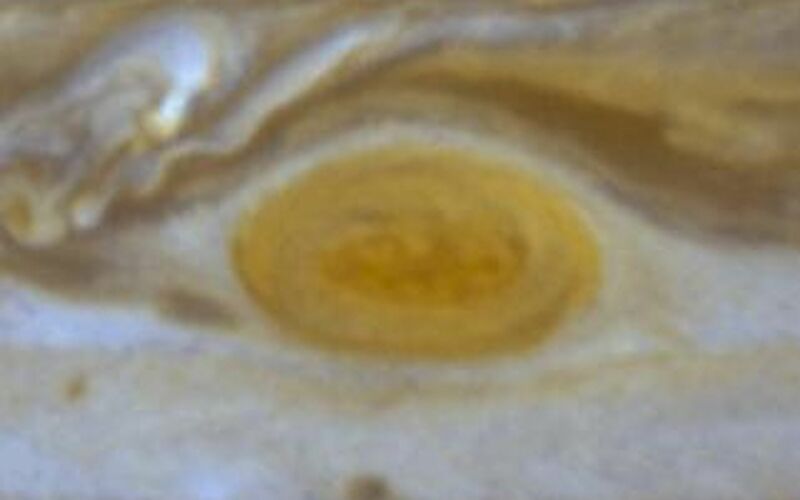 Such changes are demonstrated in high-resolution Wide Field and Planetary Cameras 1 & 2 images of Jupiter obtained by NASA's Hubble Space Telescope between 1992 and 1999 (PIA01594 thru PIA01599 and PIA02400 thru PIA02402). 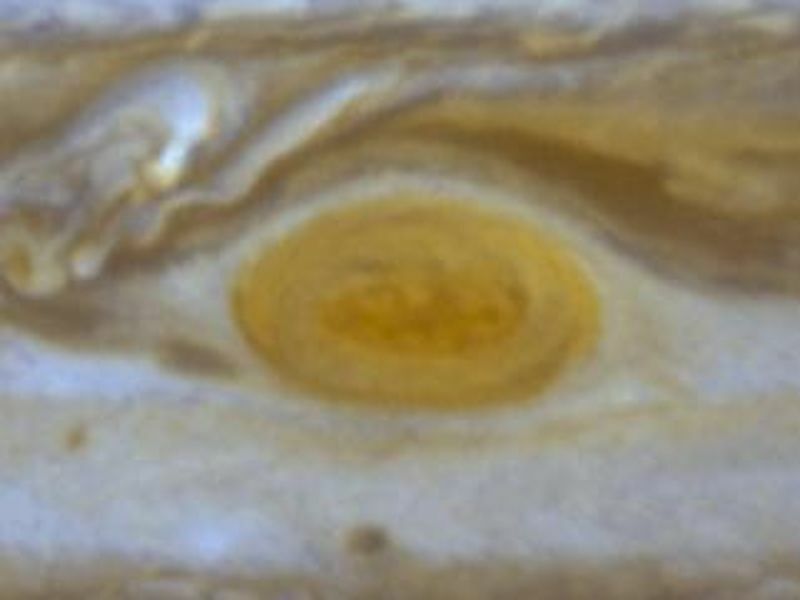 This image was obtained in October 1996.